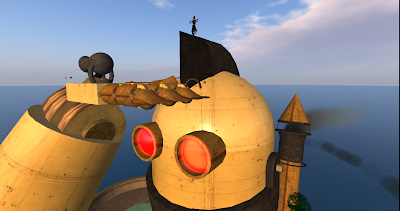 Elfod Nemeth invited me over to see his latest build... a huge robot covered in games to play and things to explore. 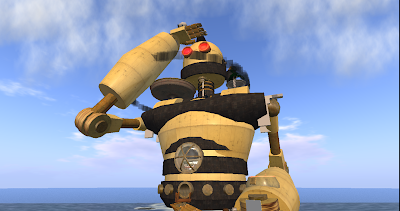 It's a steampunky build with steam and smoke, with pools and dance balls, ladders to climb, cannons to fire yourself from. I shan't tell you too much, because it is great fun to explore for yourself.